There are certain inevitable cycles in the universe: The tides that comes in must also retreat, the sun will rise and eventually set, and Samsung and Apple will release a new generation of smartphones. Like the Egyptian gods Ra and Apep, the two smartphone titans seem destined to clash time and time again. Their battle is our gain, as each new generation of smartphones seems more incredible than the last. The latest flagship phones from each company — Samsung’s Galaxy S7 and Apple’s iPhone 6S — are marvels of consumer technology. Which one is better, though? As always, it’s complicated. Apple’s iOS 9 is fast in general, though it can occasionally lag on older hardware. Bugs are to be expected early in an OS update’s lifecycle. Search functions and notifications are more useful and 3D Touch gives iPhone users new ways to interact with the touchscreen and OS. The iPhone 6S is powered by Apple’s new A9 processor, which is substantially more powerful than the previous model. Apple’s claim that the A9 is the most advanced smartphone chip ever built may be debatable, but the processor’s speed and power are not. The iPhone 6S runs much faster than the previous generation, and can go toe-to-toe with any of its competitors, including the Galaxy S7. In one speed test, the iPhone 6S defats the Galaxy S7 handily. One test isn’t conclusive, of course, but it’s still interesting. The S7’s Qualcomm Snapdragon 820 (which is the chip used in U.S. models, while phones made elsewhere have the Exynos 8890) has outstripped most competitors in early benchmark tests, and the S7’s 4GB of RAM — twice that of the iPhone 6S — give it the advantage on paper. In real life, it’s harder to tell a difference in performance between the two competitors. iOS is efficient and runs well on the iPhone 6S with no major lag. If it’s anything like the S6, the Galaxy S7 may suffer from lag over time in TouchWiz. That’s not to say it isn’t fast. In benchmarks, the Galaxy S7 performs very well. Users who play games and other demanding apps on their phones will appreciate the S7’s Herculean strength. Storage is another area where the S7 triumphs. While both phones offer 64 and 128GB of storage for increased prices, the base model S7 comes with 32GB of storage, while the iPhone 6S comes with a pitiful 16GB. It is bewildering that Apple would release a new flagship phone with so little storage space. Modern users devour storage with apps, snaps, and more, so the more expensive 64GB and 128GB models are a necessity. The S7 can also expand its memory with a MicroSD card up to 200GB. Apple has always embraced aesthetics. Each product it releases is as much a piece of modern art as a useful device, and the 6S is no exception. Its slim profile and brushed aluminum casing give it a monolithic look. 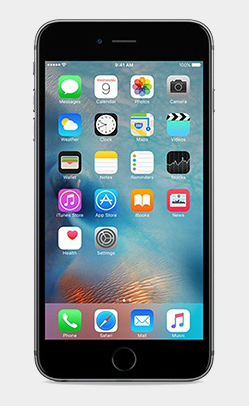 The screen is wider and taller than previous iPhones without becoming cumbersome. The 6S is easy to hold, and the vibrant display is sure to stun users. Ever the tastemaker, Apple introduced a new iPhone color to celebrate the 6S: rose gold. Created by combining gold and copper, rose gold is essentially just a fancy shade of pink. Even if one takes that reductionist view, the pale flush of the rose gold iPhone stands out among smartphones and is a good addition to Apple’s palette. Samsung is hardly a philistine, however, and the S7’s neo-futurist look, all chrome and curves, is impressive. The phone is layered with Gorilla Glass, and the AMOLED screen offers clear, colorful images. Like the 6S, the Galaxy S7 fits perfectly in the contours of a human hand. Unfortunately, the glass screen seems to attract not just the eye but fingerprints as well. Users who don’t buy a case may find their S7 quickly becomes grimy. It’s a matter of taste when it comes to these two gorgeous phones. In Japanese aesthetics, the term wabi-sabi encompass the ephemeral beauty of the material world. Like flowers in the fall, both the S7 and 6S seem oh so fragile; one drop can shatter their screens or scuff their siding, and the S7’s glass is particularly expensive to repair. Whichever you choose, consider buying a sturdy case. With its aluminum back, the iPhone is more durable in falls. The Galaxy S7 does have a superpower, though: water resistance. Its IP68 rating means that you can dunk it in water for 30 minutes or spill your drink on it without fear. It’s the phone’s killer design feature. All phones have to pull double-duty as cameras these days. It wouldn’t surprise us if people spent more time taking photos with their phones than talking on them. Both the S7 and iPhone 6S feature high-end cameras, with 5-megapixel front-facing cameras and 12-MP rear-facing cameras capable of immaculate selfies or landscapes. The S7’s rear camera has a faster F1.7 lens that allows it to catch movement better than the 6S, and in our testing it performed better in low-light environments. The S7 also tended to produce warmer colors than the iPhone 6S, however, giving photos a less natural look. One of the latest iPhone’s biggest innovations is Apple Live Photos. This feature allows the iPhone 6S to record a brief snippet of video before and after a picture, allowing for GIF-like moving images. It’s a seemingly small addition, but one that gives iPhone users some extra avenues for creative expression. With the S7, Samsung has introduced the Motion Photo feature. Like Live Photos, it records a brief amount of video before the photo, though not after. The 6S wins by a slight edge here, though it is hardly a crucial feature for either phone. Both can record video in 4K (2160p), enabling users to record shockingly crisp videos at the expense of huge amounts of storage space. It’s hard to say which camera is best in the end. Samsung’s Galaxy S7 has one of the best cameras of any Android smartphone, but when it comes to producing natural results effortlessly, the iPhone 6S wins. If you want stronger low-light performance and don’t mind slightly over-saturated images, the Galaxy S7 is the one for you. Both phones start in the same price range. The 6S comes with the added wrinkle of small storage; it simply might be too constricting for users, thus pushing them to buy a more expensive version with extra space. The 64 GB and 128 GB cost $750 and $850 respectively, so a comparable amount of storage to the S7 will require a slightly larger investment. Both phones offer a variety of carriers, and are widely available. Over the years, Samsung’s Galaxy has been one of the few legitimate contenders for the iPhone’s throne. 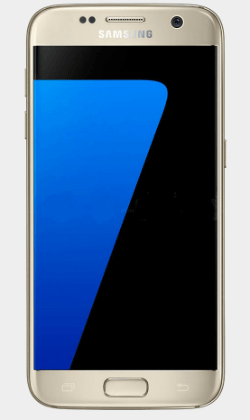 The rivalry only seems to grow more intense, as the newest models for both lines, the Galaxy S7 and the iPhone 6S, push the concept of smartphones to new levels. Both phones are incredible, and it is difficult to crown a definitive winner. The S7’s mighty processing power makes it ideal for those who want to play games on their phones. The 6S, like all Apple products, is the pinnacle of user-friendly design, and features like Live Photos turn the smartphone into an instrument of creative expression rather than a mere tool for communicating. In the end, whether a user should get a Galaxy S7 or iPhone 6s depends on their own lifestyle and needs. Like it, Love it, or LOL it? How are people reacting to news on Facebook?